Have you ever thought about working in a library? Maybe you have special memories of spending time in one as a child. If you want a career in this field because you love books, it is essential to note that you should also love technology—libraries are filled with the latest tech tools and you will have to feel comfortable using them. You should also enjoy being around people. Your library job, regardless of the career you choose, will involve interacting with patrons, but some involve less direct contact than others. It takes many people to make a library run. There are those individuals who deal directly with the resources for which people come to libraries: librarians, library technicians, and library assistants. The job duties differ for these occupations, as do the education requirements and salaries. Then there are the people who work behind the scenes, but are nonetheless essential to the functioning of the facility. They are public relations specialists, office managers, computer support specialists, and janitors. Librarians select print and non-print materials for public, school, university, law, medical, and corporate libraries. They make these resources accessible to users by organizing them and providing instruction in their use. Librarians also supervise other library workers and some become library directors. Library technicians are paraprofessionals who work under librarians' supervision. Their duties vary according to the size of the facility in which they work—library techs who work in smaller facilities usually have more responsibilities than those employed in larger ones. They may order and organize materials, lend them to patrons, and reshelve those items when they are returned. Some library technicians teach patrons how to use resources. Library assistants provide clerical support. Librarians and library technicians supervise them. 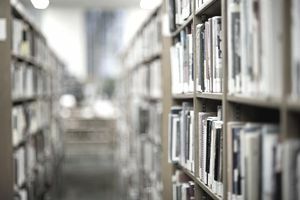 Their duties include organizing materials, collecting fines for overdue or lost materials, checking in and out books, dvds, and other materials to patrons, and returning books to their shelves after patrons have used them. Library assistants also answer phones or organize files, as well as perform other routine clerical tasks. They are also commonly called library clerks, technical assistants, and circulation assistants. Public libraries offer a lot of services and programs. Public relations specialists are responsible for making sure people in the community know about them. They send press releases to local newspapers and broadcasters, and create in-house promotional materials such as flyers and newsletters. Public relations specialists sometimes meet with community organizations and schools to promote activities. Administrative services managers coordinate libraries' support services. They may oversee mail distribution, plan budgets, and allocate supplies. Some are also responsible for scheduling staff. Computer support specialists provide in-house support to staff members in libraries. They help solve problems, install software and hardware, and maintain computer equipment. Janitors keep libraries clean. They maintain the inside and outside of these facilities. Janitors may also make repairs to plumbing and electrical systems. Sources: Bureau of Labor Statistics, U.S. Department of Labor, Occupational Outlook Handbook; Employment and Training Administration, U.S. Department of Labor, O*NET Online (visited March 20, 2018).